Fidelma Fitzpatrick litigates environmental contamination claims for various states, cities, counties and individuals. She was co-lead trial counsel in the billion dollar lead paint pigment case, The People of California v. Atlantic Richfield Company et al., in which Motley Rice represented cities and counties, including San Francisco, Santa Clara, Los Angeles and San Diego, in litigation against national lead paint pigment manufacturers. In January 2014, the court ruled that three lead paint pigment companies had created a public nuisance by concealing the dangers of lead when they campaigned against its regulation and actively promoted lead for use in homes despite knowing that it was highly toxic. This $1.15 billion* verdict will be paid to the state’s abatement fund for the removal of lead paint pigment from homes throughout California, particularly those occupied by lower-income families in inner-city and community housing. This will help protect the health and safety of thousands of children. Fidelma also held a central role in the state of Rhode Island's trial against former corporate manufacturers of lead paint pigment. She continues to manage cases seeking to hold the lead paint pigment industry accountable for the childhood lead poisoning crisis and provide restitution and compensation to affected children and families. As a result of her work for lead poisoning victims, the Wisconsin State Supreme Court became the first to recognize the legal rights of poisoned children to sue lead paint pigment manufacturers. Fidelma represents people and communities in other toxic tort and environmental matters, including property damage and personal injury claims. She played a lead role in representing the community of Tallevast, Florida, in a lawsuit against Lockheed Martin Corporation involving the pollution of the community's groundwater with PCE and TCE. Fidelma is currently litigating nuclear contamination cases on behalf of Pennsylvania residents who allege that local nuclear facilities exposed them to hazardous levels of toxic or radioactive material in the surrounding air, soil and water. Those cases, involving both personal injuries and property damage, are pending in federal court. Her experience with complex civil litigation has also led Fidelma to represent other victims of corporate malfeasance. She plays a central role in representing hundreds of women allegedly harmed by pelvic mesh/sling products in filed cases against defendants that include American Medical Systems, Boston Scientific, C.R. Bard, Inc., and Ethicon. In 2012, Fidelma was appointed co-lead counsel of the pelvic mesh MDL In re American Medical Systems, Inc., Pelvic Repair Systems Products Liability Litigation pending in the Southern District of West Virginia. She also holds leadership roles in pelvic mesh state court litigations, including serving as liaison counsel in the American Medical Systems cases consolidated in Delaware and the Boston Scientific cases consolidated in Massachusetts. Fidelma began working with Motley Rice attorneys in 1997 on the Massachusetts, New York and Rhode Island groundbreaking lawsuits against the tobacco industry. 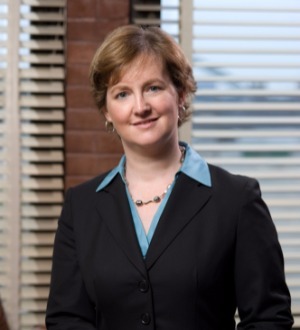 Named a Motley Rice member in 2006, she serves on the Board of Regents at Canisius College and frequently speaks on environmental and mass tort topics at conferences for federal and state court judges, attorneys, academic professionals and law students.